Wanted to ask where to get the appropriate lower and a 20" 1/7 barrel? Any one build one of these kits? You can get them from brownells when they are in stock. From what I've seen, they're pretty expensive considering how worn they are in pics. I'd rather just go all new parts to build an A1 clone, and hunt down a nice surplus furniture set. Thrasher, scottyb and BR7.62 like this. Me likey the 1/12 twist barrel on the brownell's rifle. TRAAK's and 22many like this. Man yeah with the current brownells blowout that 605 is teeeempting. Scotty those sarco kits are hit or miss like, maybe more miss unless you're after well worn. Or if they have pics on GB of the kit your buying. Royal Tiger also had some kits different grades I think grade a is gone. What a country were decent a couple years ago. Fulton has 1:8 barrels in a1 profile I couldn't find a 1:7 but from my experience they work fine with 77gr ammo if that's what you're shooting. I have a pri a1 lower i would sell cheap it has their big logo on it and is black. Brownells and nodak lowers are nice, and can get gray. And they both leave the area where the pony would be blank. Last edited by BR7.62; 03-23-2019 at 10:03 AM. Thrasher and scottyb like this. I picked up a Grade A kit from Royal Tiger when they had them. 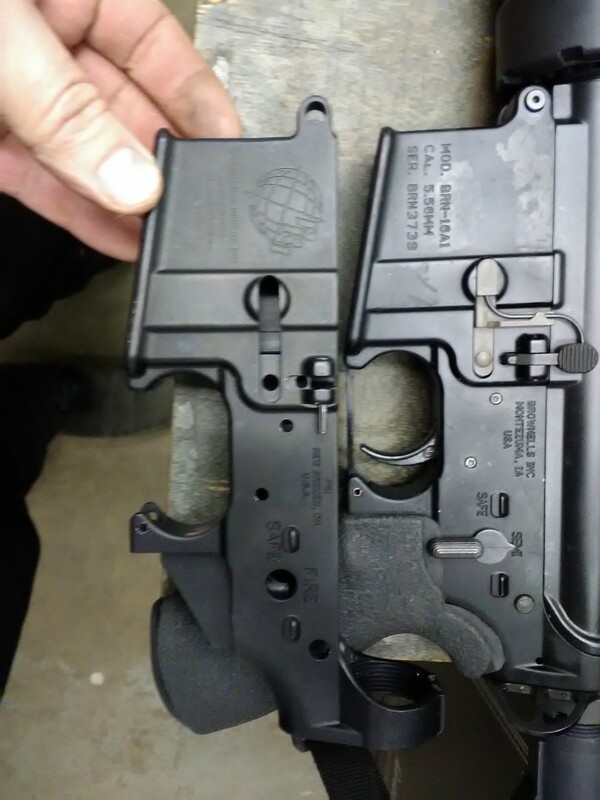 Upper receiver was worn down to the bare metal. Not worth the price in my opinion. Also bought one of What a Country kits, nice but pricey. BR7.62 and scottyb like this. I'm not really into AR's and keep selling the one's I build due to losing interest, but I'd like to build up an a2 clone, as well as one of the prototype rifles once parts for them become available. Those would be keepers for sure. I'm hunting down an A2 (when finances allow) then calling it good with AR's. The A2 is my favorite variant. It's the one I grew up seeing in the 90's. Those Capco complete uppers are NOS. What a deal. That would make a good wolf gun with a flat top upper & scope. Centerfire had some kits recently. My Type 603 is built with a SACO replacement barrel assembly that's the same '69/'70 era as the nice WhataCountry kit I picked up a ways back after prices rose, but before quality plummeted. Correctly profiled and engraved Colt clone lower, and a nice 2.75x Colt scope tops it off. Very accurate with 55gr ammo. green painted red bakelite m16 furniture from the early days of m16 production. Shot-out carbine barrel assembly from SARCO?